Our friends the Paddock Lake Area Lions Club is having their annual Books and More rummage sale event 8 a.m. to 3 p.m. in the east end of the Center. Come on in and browse and buy. Our holiday party is also happening that day at the west end of the building. 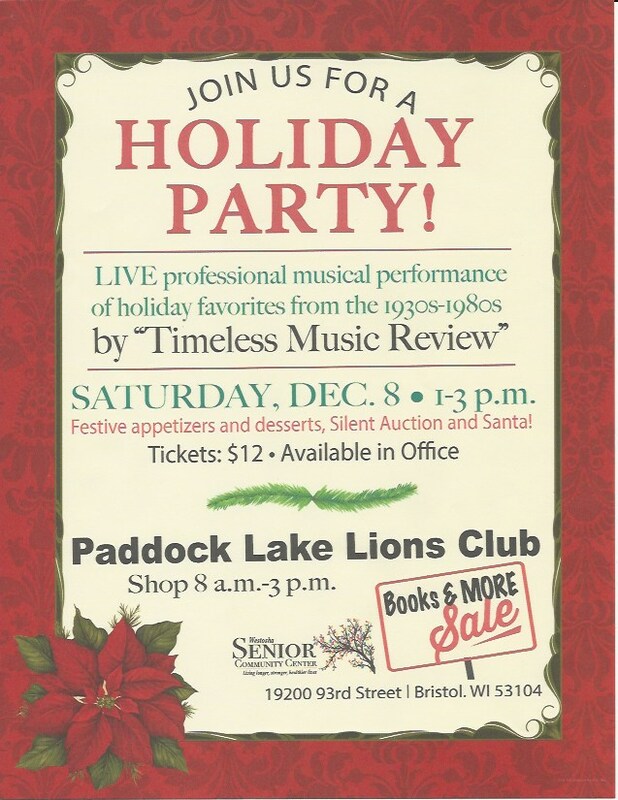 Each $12 ticket for the holiday party at the includes a $1 coupon to spend at the Lions sale.